I received my PhD in Management from the Department of Management in the School of Business and Economics at the University of Guelph and my Masters of Business Administration (MBA) from Wilfrid Laurier University. 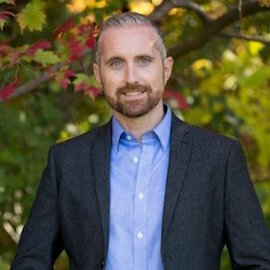 Prior to joining Wilfrid Laurier University, I have worked as a lecturer and part-time professor at the University of Guelph, Conestoga College and Wilfrid Laurier University. My research examines how innovative social entrepreneurial ventures mobilize resources by working collaboratively across sectors. Resource mobilization efforts that I have examined include in-kind stakeholder contributions and my current research examines the efficacy of crowdfunding platforms such as Kickstarter.com for generating funds for social enterprise. College of Business and Economics Distinguished Scholar Medal from the College of Business and Economics, University of Guelph (2017). College of Business and Economics Nominee, Governor General’s Gold Medal for outstanding academic achievements of a graduate student, College of Business and Economics, University of Guelph (2017). Inductee into the Society of Excellence in the College of Business and Economics, University of Guelph in recognition of exemplary academic achievements (2016). College of Business and Economics Distinguished Scholar Medal from the College of Business and Economics, University of Guelph (2016). Nominee, DF Forster Medal for Convocating Doctoral Graduates from the College of Business and Economics, University of Guelph (2016). First-place coach for the WLU MBA team - The Aspen Institute Business & Society International MBA Case Competition, New York City (2015). Board of Graduate Studies Research Scholarship Recipient (Dec. 2014). First-place convener/coach/judge for the WLU MBA team - The Aspen Institute Business & Society International MBA Case Competition, New York City (2014). University of Guelph, College of Management and Economics - Ontario Graduate Fellowship (2012/2013). University of Guelph - Career and Teaching Development Fellowship, Development of Social Entrepreneurship Curriculum (2012/2013). First-place coach and judge for WLU MBA team - The Aspen Institute Business & Society International MBA Case Competition, New York City (2011). Semi-finalist member of the WLU MBA team - John Molson MBA International Case Competition, Montrea (2007). JDCC, Aspen Institute Business & Society Case Competition coach. Faculty Advisor, Brantford Enactus Team. Faculty Advisor, Technology Management Laurier. McDermott, K., (2016). Mobilizing Resources in Social Enterprise, International Association for Business and Society Conference (IABS), Park City, Utah, June 17-19. McDermott, K., (2016). When Social Entrepreneurial Opportunity Exists to Convene CSSPs. Cross-Sector Social Interaction Symposium. Toronto, ON, April 17-19. McDermott, K., Kurucz, E. C., Colbert, B. A., (2015). Governance through Multi-Sector Collaboration: The Role of Leadership and Organizational Design. Academy of Management. Vancouver, BC, Aug. 7-10. McDermott, K., Kurucz, E. C., Colbert, B. A., (2014). Leadership in the Formation Stages of Cross-Sector Social Partnerships: Leadership of convening organizations for providing social value. Cross-Sector Social Interaction Symposium. Boston, MA, May 28-29. Kurucz, E. C., Lipton, M., McDermott, K., (2014). Integrating Sustainability into Learning Outcomes and Pedagogy. Teaching and Learning Innovations Conference. Guelph, ON, April 30. Colbert, Barry A., Kurucz, E. C., and McDermott, K. (2013). Motivating multi-sector collaboration. International Association for Business and Society (IABS) Annual Meeting. Portland, June 20-23. McDermott, K., (2012). Complexity Leadership and Implicit Leadership Theories: Do followers see complexity leadership as bad leadership? International Leadership Association (ILA) Conference, Denver, CO, Oct. 24-27. McDermott, K., (2012). A Pragmatic Approach to Defining Leadership. Administrative Sciences Association of Canada (ASAC), St. John's, NL, June 9-12. McDermott, K., (2011). Leadership and a Stakeholder Approach to Corporate Social Responsibility. Conference on Corporate Social Responsibility. New Orleans, LA, May 18-20. McDermott, K., (2011). Engaging Expectant Stakeholders: A complexity theory approach to engaging stakeholders in complex organizational stakeholder environments. International Conference on Complex Systems, Boston, MA, June 26-30. W2008, Sessional Instructor, BU481 – Business Policy (Strategy) 1, Wilfrid Laurier University.